Greetings and welcome, my name is Dev Ghosh. I am a professional wedding photographer and owner of the Atlanta based award winning Love Studio Photography. I created Love Studio Photography with my wife Lyudmila in 2004 shortly after graduating from the New York Institute of Photography. The one lesson I walked away with from my schooling is that lighting is a photographer's most effective tool because it allows the photographer to assume complete control over their environment. It is in light of which all the magic happens, where they can obtain the perfect photograph. The ability to apply this concept to every event I photograph is what makes me unique to the craft. Through the skills and knowledge, I obtained from both education and experience; I have become a well-respected photographer amongst my peers and clients alike. I possess an eye for capturing the most exquisite memories through a camera lens, producing timeless visual mementos for the bride and groom to share with loved ones for generations to come. As a professional Atlanta wedding photographer, I have been serving Metro Atlanta and the surrounding area since 2004 and have become well known in my area of expertise. I am completely dedicated to photography. My creativity is infinity toward composition to completion. I specialize in modern, distinct and timeless wedding photography with creative focus on the art of crafting beautiful pictures of stunning brides and handsome grooms, their bride maids, select families and their future descendants. Elegance and documentary style photo-journalistic effects are my forte. I am best known for my candid technique, as well as my authentic and dramatic method of photography. I can convert your imagination and desires into beautiful signature portraits that will last an eternity as I visualize and capture your unique wedding images. I strive to create every image a unique, as every wedding is different than the others; my imagination meets or exceeds my visualization which made me the most distinctive wedding Photographer. 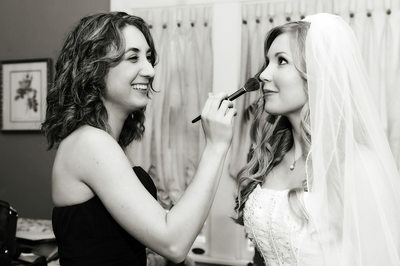 Since opening our doors in 2004, the talents of myself and my team at Love Studio Photography has spread like wildfire. Our services are not limited to the Atlanta area but stretches statewide, nationally, and internationally. Our resume includes hundreds of weddings in the United States and over a dozen international weddings. I am grateful to serve many beautiful areas in the great state of Georgia including the following: Norcross, Lawrenceville, Duluth, Buckhead, Rome, Valdosta, Gainesville, Atlanta, Macon, Savannah, Augusto, Columbus, Americus, Helen, Albany, Dalton, Athens, Douglasville, Decatur, Lilburn, Marietta, Alpharetta, Roswell, Smyrna, Covington, and Sandy Springs to name a few. Love Studio Photographers offer gorgeous wedding, life-like portraits and large or small event photography within Atlanta and throughout the state of Georgia. I am specialized in Atlanta wedding photography and am quite familiar with a variety of picturesque locations and scenic areas within greater Atlanta and also in the neighboring areas. Our photography services are custom-tailored to the taste, theme and budget of our clients. We have shot many colorful event pictures in Macon, a city south of Atlanta; a beach city known as Savannah; Augusto, a city two hours east of Atlanta and Columbus located about 100 miles south-west of Atlanta. We were privileged to take awesome event and wedding photographs in Americus the international center for Habitat for Humanity, Helen the rustic city next to the Chattahoochee River, Dalton situated at the foothills of the Blue Ridge Mountains, Athens and it’s famous Botanical Gardens, Douglasville where the world famous largest cuckoo clock exists, Decatur and its historic sites, Lilburn with one of the largest Swaminarayan temples outside of India, Marietta and its almost 12 mile long Sope Creek stream, Alpharetta’s parks, Roswell’s lakes and dams, Smyrna- home of the Atlanta Bread Company, Covington where many TV shows and movies were filmed and Sandy Springs museums and parks, just to name a few. Being of Indian descent, I am very familiar with the Indian customs, culture and religious rituals and traditions. I have educated myself and researched extensively Indian history and mythology. Although there are commonalities among Indian weddings, the rituals and traditions do vary from region to region, as well as from family to family. Besides English and Russian, I speak Hindi, Bengali and Urdu fluently and so I am very familiar and privileged to understand the meaning of Sanskrit chanting of the Mantras which is the root language of Hindi, Gujarati, Bengali, Tamil, Telugu, Malayalam and many other Languages. The extensive knowledge of the Indian culture and the importance of all the rituals involved have led me into becoming one of the most renowned Indian wedding photographers of this region. My substantial knowledge and experience in South Asian wedding photography which includes the look, the outfits, the religious and cultural regional differences has been gained by the various Indian weddings I have photographed, including South Indian, Gujarati, Sikh, Bengali, Jain, Sindhi, Hindu, Indian-Christian, Ismaili, Muslim, Jain, Tamil, Rajasthan, Assamese, Punjabi, Nepali, Bangladeshi, Sri Lankan and Pakistani weddings. My wife Lyudmila is a Russian born American and she has been working with me side by side since our company Love Studio Photography & Filming was born. As Indian born I know Indian cultures, customs, etiquette's, religions and traditions, but what makes Lyudmila an exception is that many of my clients tell me that she knows more about Indian weddings than they do. The reality is that we’ve shot hundreds of Indian Weddings in the past 12 years, and the education we have gained from this experience is not something that could have been achieved in just a few months. Therefore, Lyudmila’s extensive knowledge regarding all kinds of Indian weddings is deeply lodged in her heart. No wedding is too big or too small for Love Studio Photography. 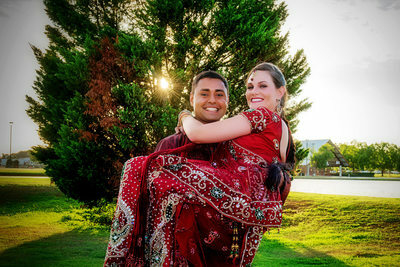 We have had opportunities to photograph Indian weddings with as few as 30 people in Vedic Temple of Atlanta and as many as 2,000 people in the Georgia International Convention Center. Your wedding is more than a ceremony; it’s filled with love, laughter and emotion, from the preparation, to the formal dinner, to the ceremony, reception and evening event celebration. Every moment is special and Atlanta Wedding Photographer understands that. We can record every tear and smile and the size of your wedding is not a problem for us; we will bring together your precious moments into exquisite and classic colorful photos. The largest wedding we ever photographed was at the Georgia Convention Center with 2,000 beautiful people in attendance. 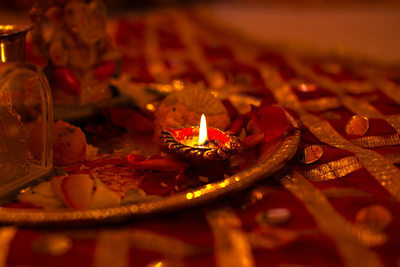 A full Indian wedding is a commemoration that can last up to three or four consecutive days with a tight timeline. I can state with great confidence that my team and I really put together a fabulous series of pictures together for the couple and their families. It must be recognized that a Muslim wedding is quite different from a Hindu and Christian wedding. Indian, Pakistani, Bangladeshi and Nepali weddings all have a ceremony called Henna or Mehndi. No matter which religious background they are from, each ethnic group enjoys the Henna-Mehndi part of the evening. The girls at the wedding put colorful henna on their hands to show off their beauty and uniqueness. Another common event known as Haldi or Holud is also observed at most weddings. 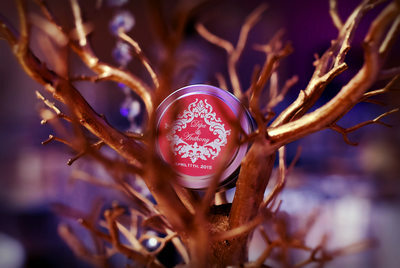 Turmeric is rubbed on the face, hands and body of the bride and groom by their family and friends. This is a tradition that brings closeness and unity among the newlyweds and their respective families. Nikah is the legal and binding contract in an Islamic marriage that binds the bride and groom who consent to this union though their own free will. This formality makes the marriage valid as far as the Islamic religious requirements are concerned. It is imperative that the marriage is recognized publicly which is commonly done with the Walimah or the reception. The Walimah is the celebration in which acknowledges the marriage publicly and shows acceptance of the union. I am well versed in Muslim traditions and culture, and am also a favorite photographer for all Muslim, Pakistani, Indian and Bangladeshi communities throughout Georgia, Alabama, Florida, North and South Carolina, Tennessee, Indiana and in many other neighboring states where Muslim communities reside. The wedding pictures I take are spectacular and show the love and diversity that exists among the brides and grooms I am photographing. There are many advantages to being a wedding photographer. One of those advantages is having the privilege of working with a beautiful, diverse array of people from various ethnic backgrounds, religions and cultures. I have been exposed to and have learned the delightful customs, rituals and traditions while I have been photographing magnificent multicultural events and weddings. My Love Studio team and I have the honor of providing our photography and videography services to those of different cultures, ethnicity, tribes, and religions. We maintain an open mind and thus have learned and embraced many delightful customs, rituals, and traditions through the years. We have experience doing everything from traditional weddings to Indian weddings to Jewish weddings to Ethiopian weddings. Our first Jewish wedding was more than 10 years ago at the Synagogue Temple Beth Tikvah in Rosewell, GA. Since then we have become popular in the Jewish community and have had the privilege of providing our photography and videography services to Jewish weddings held in Orthodox, Buchari and Reform Synagogues. It is fulfilling to witness such beautiful cultures and I love being a part of the couples' big day. We feel blessed to have been able to be hired for this event as many of our clients have come to us through word of mouth after that. Photographing colorful Russian wedding receptions, as well as Ukranian and Eastern European wedding ceremonies are also part of the type of work we do. 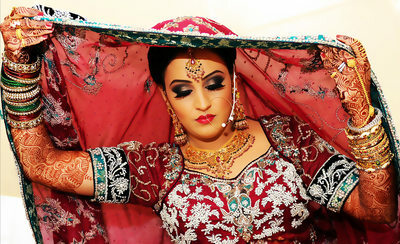 Persian and Afghan marriage ceremony events are what Atlanta Wedding photographers specialize in. It is interesting to note that during the Afghan wedding the bride and her bridesmaids change their outfits several times throughout the evening and that they are very captivating for photographers like us as we can execute a variety of poses within different environments. There is even a dance with the knife at many of the regal Persian and Afghan weddings. At Love Studio Photo we also specialize in African cultural weddings and beautiful occasions that represent brides and grooms from Ethiopia, Somalia and Eritrea. We have worked with royal Arab and noble Palestinian weddings, and our photographers are very familiar with the culture and traditions of these nations. In general we are always excited to provide great photographic moments for all types of multicultural nuptials. 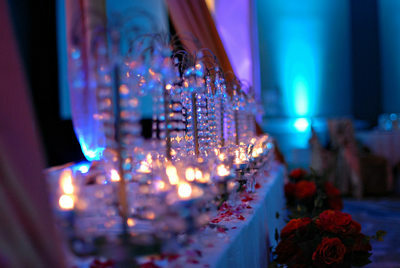 One of the focuses of my dynamic photography is on weddings where the ambiance and décor is perfect. The wedding location and event hall are always unique and singular. I recommend a chic setting for our distinctive photography and focus on the overall venue in order to take spectacular pictures. Within metro Atlanta and Georgia there are many locations that are characteristic and in this heading we will name the ones we have gone to and photographed. The Sheraton downtown and the Sheraton at the Atlanta airport, as well as the famous Ritz Carlton Buckhead, the Hilton Peachtree, and the Hilton downtown Atlanta and Doubletree in downtown Atlanta are fine hotels that can accommodate large parties. There is the gorgeous Grand Hyatt Atlanta in Buckhead, the Hyatt Regency at Peachtree, the Westin Buckhead Atlanta and the Westin in downtown Atlanta and each offer great spots for wedding photography. We have also photographed weddings and events at the Sonesta Gwinnett Place Atlanta, the Atlanta Marriott Century and the Atlanta Marriott Midtown. Other familiar sites for weddings are the JW Marriott Atlanta Buckhead, and the Crown Plaza Atlanta perimeter at Ravinia. There are endless venues where our Love Studio’s professional photographers and their respective staff have visited and photographed. 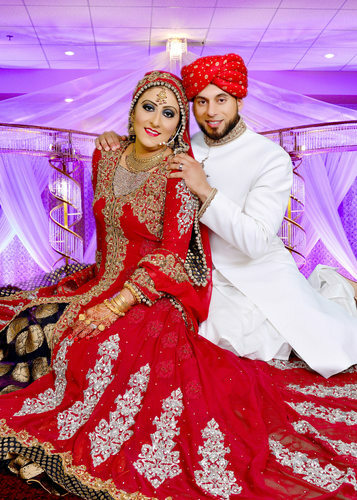 Other locations for wedding backdrops are such places as Gwinnett County at Vine Mansion, the Sugarloaf Country Club, the Fifth Avenue Event Hall, and Occasion Event Center in Tucker, GA, Ashiana Restaurant in Global Mall, Norcross, the Bombay Grill Restaurant and the Atlanta Spring Hall off Butford Highway. The studio is located in Atlanta, and shooting weddings at the extravagant Ritz Carlton Reynolds Plantation in Greensboro, and the Chateau Élan Winery and Resort in Braselton, GA was superb. The Renaissance Hotel Atlanta Midtown, the Yaarab Shrine at Ponce De Leon Avenue in Atlanta, the Four Season Hotel in Downtown Atlanta, and the Bona Allen Mansion in Buford, GA., all have their own perfect charm and exquisiteness. We have had the privilege to shoot many private parties and charming weddings at the Vine Garden Park, Piedmont Park and Norcross City Park. The Hilton Marietta, the Emory Conference Center Hotel, the Roswell Mill Club, Villa Christina and The Renaissance Atlanta Midtown hotel are some of the high end locations we have worked out of as professional Atlanta Wedding Photographers. Traveling is another perk to this wedding photography industry. Not only are we open to different cultures but also different locations. We love celebrating your day with you and seeing the beautiful places you love. It tells us more about you and allows us to see the world. Being a destination wedding photographer is a continuous adventure. It is an opportunity to capture stunning photographs with such a variety of endless beauty. I have had the great opportunity to photograph destination weddings in dazzling and adventurous settings. I am well versed in creating stunning images for all types of brides and grooms, as well as for their families and friends. Traveling to those destinations in order to capture unique photography and rainbow images is a blessing in itself. Other than Atlanta and the metro area, we have photographed weddings in nearby Huntsville and Birmingham Alabama, Knoxville Tennessee, Memphis Tennessee, Chattanooga, Clarksville, Pigeon Forge, Nashville Tennessee, Columbus Ohio, Indianapolis Indiana, Chicago Illinois, Dallas, San Antonio, Huston, Austin Texas, Washington D.C, Orlando, Jacksonville, Tampa Florida, Oklahoma City and Kansas City. All of these cities have amazing wedding venues and locations for engagement, portrait photography that features nature and endless urban areas, old town settings, modern churches, temples and much more. 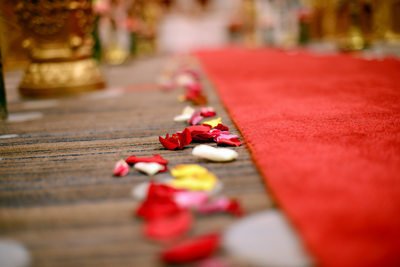 One of my absolute joys was photographing half a dozen Indian weddings at the Knoxville Convention Center in Tennessee. There was a huge building with infinity of naturally stunning views and backdrops. After accepting our first job in Toronto, Canada, we were excited to have been invited back for two more weddings. I drove my team all the way to Toronto, Canada as I had never visited that city; we were to film and Photograph three weddings in total. Our next stop was Montreal. I was introduced to this project through a friend. The cold weather was exciting and created a different environment for the dance-play recitals we were to film and photograph. I have had honorable fortune traveling all the way to India and Bangladesh six times to photograph weddings. I Have had photographed two Muslim weddings and one Hindu wedding in Dhaka, Bangladesh and three Hindu weddings in Kolkata, India. Each location holds own piece of exquisite scenery. It is a photographer's dream to work with such variety. The scenery is what brings the photos to life, creating beautiful memories for the couple and their families. There is no limit to where we will travel. We want to be there for you. Love Studio Photography has the honor of being awarded Best Photography Studio in Norcross, Georgia. I am also touched to have been named among the top ten Indian Photographers in the USA as well as the top ten best wedding photographers in the greater Atlanta area. The Darpan Photo Magazine also named me one of the top ten wedding photographers in Georgia. My work has also been recognized in Little India, Khabar, and Priyo Bangla magazines. My vision, creativity, and joy for my profession is what earned me these prestigious honors. It is important to me to go above and beyond to not only deliver you my best efforts but to go beyond. The recognition my studio and I have received humbles me. I am doing what I love and being. Love Studio Photography has been awarded as being the best Photography Studio in the city of Lawrenceville, Georgia. Many of my photographs have been published in Little India Magazine, Khabar and Priyo Bangla Magazines. I am honored to have been named Top Ten Indian Photographer in the US. 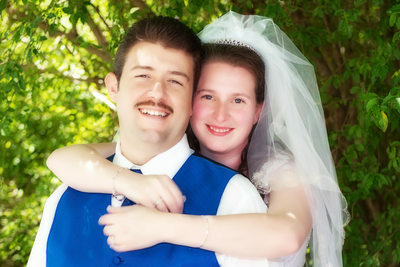 I am also one of the top ten wedding photographers in Atlanta. Best Wedding Photographer Recognition is very important for all professionals, so is dedication and passion. A humble photographer is one that is always learning and trying to perfect the moment. It has been a privilege to have been recognized by one of the greatest Indian communities within the United States and I am spellbound by this acknowledgment. 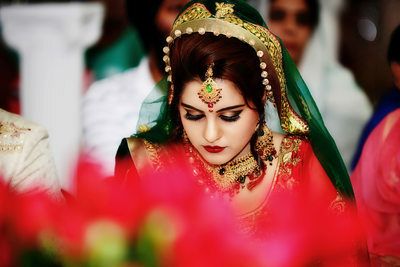 I was so contented to know that my creative works, dedication to photography, excellent customer service recognized by Indian American Cultural Association (IACA) when I earned my place as one of the best wedding photographers in Atlanta and especially after I was named by Darpan Photo Magazine as one of the Top 10 Wedding photographers in Georgia. It was my great integrity when IACA awarded me Top 10 Indian Wedding photographer in the United States and honorary appointed Love Studio Photography as their official photographer. I served IACA as brand ambassador and official photographer in the year of 2007 and 2008. During that time, I have had photographed dozens of cultural, political and musical events. I was again named and awarded as Top 10 Indian wedding photographer by the Ambassador of India in USA H.E. Nirupama Rao. Furthermore, I have had the pleasure in photographing weddings in twenty six states within the United States, Canada, India and Bangladesh. Many of my first time clients have never met me before, but have heard or seen my photographic work. I have moreover earned the trust of our global clients and have been honored by being invited many times into their homes and kitchens of my customers to share the delicacies and traditional dishes produced by them and their chefs while doing shoots for them and their families and companies. Unlike movie pictures, wedding photography does not have many rehearsals as the bride and groom are the main actors and actresses who are understandably not professionals, neither are the parents, bride maids, groom men, friends and family. You will be taking creative photographic shots of your subjects who are probably for the first time in front of a professional photographer and you will only be able to take a couple of great shots, unlike in a movie where the actors and actresses are used to being in front of a camera and where the photographers can take several shots until they obtain the perfect photographs. A great Atlanta wedding photographer needs to have an innate sense for the scenery, a passion for originality, as well as an unwavering attention to the technical sophistication which comes with being dedicated and attentive to the requests of the client it is photographing. Our job as a qualified photographer is to recognize that each story is unique, and that every couple and every wedding has a special and different narrative. Each couple has a theme and a unique story they want that will be identified by the expert photographer. A wedding is not like a movie-set; there are no rehearsals on the big day, and the bride and groom may have never before appeared in front of a camera in their lives. This is where you, as the photographer, step in. You wear many different hats; you are the producer, the director, the agent, and the publicist charged with recording this once-in-a-lifetime event. I have been fortunate to have captured stunning images, won the love and respect and earn the trust of my many clients. Photography is my passion and winning the bride’s approval on assisting her with her magnificent wedding photography is something she will talk about for years to come. I feel like I live under the shadow behind hundreds of thousands of pictures delivered to my clients; this is my absolute and ultimate enjoyment. Many potential clients always want to know how much they will be charged for the photography or filming of their special event. As an experienced photographer I have found that no two weddings are the same. Every client has their own unique requirement. Our prices are based on your event. Although we do have standard prices for particular services, our prices tend to vary as each event is unique and their requirements differ from the next. Please feel free to contact us for a quote for your event. We will be more than happy to meet your requests. You may contact by phone, text, and/or email. Weddings are not the only service we provide. We offer both photography and videography services. Other events that we cover are birthdays, anniversaries, engagements, fashion and portrait photography. If you have an event in mind, don’t hesitate to contact us via email, phone, and text where we can discuss your event and pricing. Love Studio Photography also proudly offers 200 years archival high quality printing on Canvas, Luster, Metallic and Pearl Papers. The printing service is extended to other professional photographers with a great discount.